Every once in awhile, some one stumbles upon something that is a revelation to her, something that forces her to rethink a singular event. That event can no longer be viewed as just happening to a large group of anonymous people. Now it is seen as having happened to one person, a person with a name, a heart, feelings and a life who was changed forever by that singular event. Thus, it can be said that some of the best historical fiction focuses on unexplored, uncomfortable, or even secret events that really happened. Examining history through the lens of little explored — or selectively forgotten — events provides an opportunity to rethink what we already know, and ponder more deeply what still lies hidden from our view. 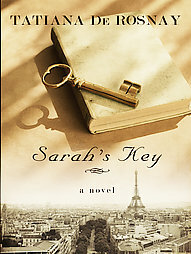 In her novel Sarah’s Key, Tatiana De Rosnay confronts the difficulties involved in bringing these historical secrets to light. She turns the spotlight on a significant but little explored event that many in France, and the world, would likely prefer to forget: the cooperation of the French police with Nazi demands for the deportation of French Jews during WWII that resulted in what has come to be called the Vel’ d’Hiv Roundup. It’s a can’t-put-it-down read that forces us to examine the everyday injustices that we participate in, either by direct cooperation or simply by not speaking or acting out against them. The plot turns on Julia Jarmond, a 40-ish American journalist living in Paris, assigned to cover the commemorative anniversary of the Roundup for an American Paris weekly. In the beginning of the novel, short chapters alternate deftly between the past — specifically, July 1942, following one anonymous family, and more particularly the daughter of that family, through the Vel’ d’Hiv — and the present, in which we become acquainted with Julia and the unusual circumstances that end up making her the perfect, the only, person who could truly write this story. Somewhere near the middle of the novel, the parallel lines of the lives of these two women converge in an intense conflagration. The anonymity of the Jewish family who are victims of the roundup underscores the intensely essential, but often forgotten fact, that history happens to individual human beings. The acts of individuals or collective groups have astonishing and often irreparable and horrific consequences in the lives of everyday people. This is a reality glossed over by the sweeping, impersonal, and biased narratives of history books throughout the world. Every character tellingly has a name in the 1942 portions of the novel, except the “girl” and her family. “The girl” is at once no one to those who wish to exterminate her, but is in every sense SOME ONE to those who love her. This nameless “girl” lived through an atrocity no one wants to think about or remember. She lives, breathes, feels, and believes and she has a story to tell, a promise to keep, and a difference to make. From the very beginning, Julia encounters many obstacles to completing her assignment — her husband, Bernard, and his family refuse to condone her research as worthwhile and make every effort to discourage her completely from proceeding. 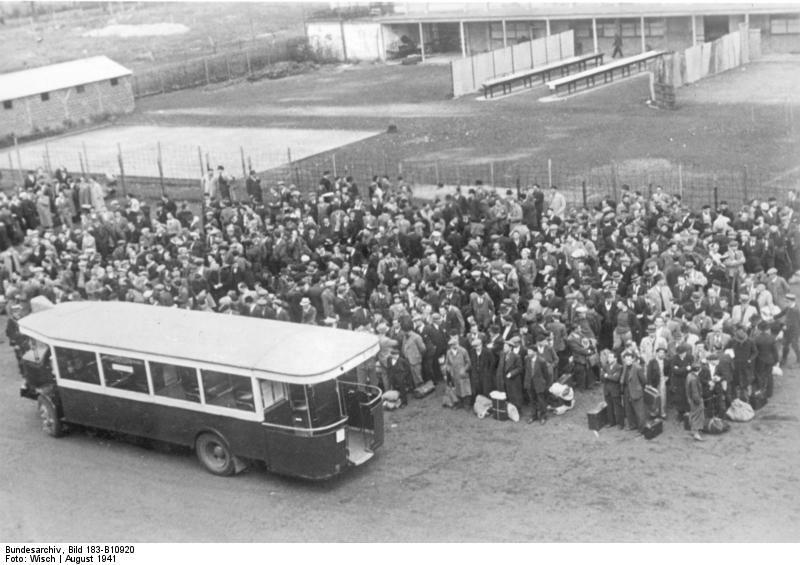 In addition, much historical evidence of the Roundup has been conveniently wiped away: the buildings in the area of the Velodrome and the Velodrome itself have all been razed, articles and pictures are hard to come by except through one Jewish agency who still seeks to find and name all those missing in the Holocaust, and the majority of witnesses are deceased. No one, it seems, thinks the Vel’ d’Hiv worth remembering or worth writing about. On top of everything, Julia struggles with a disintegrating marriage and the feeling that she is fading, disconnected from who and what she thought she’d become. The assignment, despite its difficulties, renews her sense of purpose and her joy in her vocation while presenting her with the challenge of puzzling out and asserting an individual identity from amidst a group that would seek to annihilate it. There are two holocausts personified in the novel. The Jewish holocaust is juxtaposed against another holocaust, no less morally problematic and reprehensible. Julia is forced to choose either to confront or to participate in this modern-day atrocity. The juxtaposition of moral choices and the individual’s participation in murder through lack of defiance or failure to speak weighs the holocaust of one generation against that of another with very disturbing parallels, which Julia fails to see (at least early on). While she is confused and repulsed by those who stood by and failed to do anything to save those who were rounded up and deported during the Vel’ d’Hiv, she herself fails to recognize the moral turpitude of her own situation until it is nearly too late. This is a theme that pervades the novel from beginning to end: It is easier to go with the flow, to do nothing that will cause commotion, to simply give in and cooperate. It is easier to ignore, to forget……. The saying that history repeats itself is never more true than in this fact: we often fail to take the lessons from history and apply it to ourselves, to our own society or personal situations; hence, what seems innocuous and gradually asserts itself as the moral norm is really the germ of some past nefarious deed reincarnating itself under another form, with the same devastating effects. If there is any fault with the book it might be that the ending is a little too tidy or predictable, and there are places in the last quarter of the book where the writing slips into sentimentality or a reliance on easy plot devices. But these minor technicalities are forgiveable and do not take anything away from the main action of the novel — Julia’s growth and catharsis through this intimate and personal encounter with individuals who were previously “dead” in their anonymity — an anonymity forced upon them because their experience was too horrible to look upon or contemplate, because there was no one who could or would help them live with what had happened to them — and whom she fearlessly and purposely brings back to life through uncovering and giving voice to their secrets, secrets that belong not only to them, but to all of humanity. In doing so, Julia uncovers and admits her own secrets, and looks deeply in to the places where her own life is most at risk, bringing everything in to the light and changing herself and those who know her profoundly. Beauty Take-Away: This novel really brings the inherent dignity of the human being into sharp focus against others who have total disregard for this dignity. One view is beautiful and divine; the other is dark and devolves into the utter blackness of despair. It is not an easy novel to read — there are times when it is excruciatingly painful to go on to the next sentence. But the imminitable dignity, beauty, and gift of human life is present on every page. Ultimately it is a novel of hope and faith and a belief in God. De Rosnay weaves a story of life out of the ruins of the culture of death. This is a rare occurrence in mainstream fiction today and it is what makes Sarah’s Key so worth reading. About the film: Read the book first. As in all cases, the book is better. The film is not unsuccessful, but it fails to reach the depth of insight the book accomplishes and glosses over some of the major conflicts that weigh so heavily in the development of Julia’s character in the novel.